Deborah Lee James will explore how she managed to convert negative experiences from her personal life into positive lessons which enabled her to get along, get strong, grow into achievement and excellence and, ultimately, thrive as a leader in government, business, as a mother, and as a wife at home. Deborah shares both her struggles and their outcomes, and the problem-solving strategies that she developed along the way that she successfully applied to pressures, threats and challenges that at first seemed daunting and impassable. Hear about Deborah’s success in rising up the ranks of male-dominated industries and institutions so that her life could be lived to its fullest and happiest, and on her own terms. 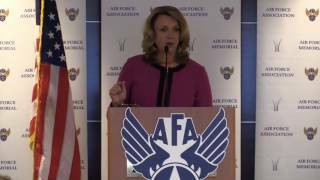 As Secretary of the Air Force, Deborah was charged with talent management; readiness and training; technology and modernization; and making her organizations as efficient as possible. She also visited more than 40 partner nations during her most recent tenure in government. She offers up-to- the-minute commentary on the Washington budget scene and topical issues in national security and foreign policy. 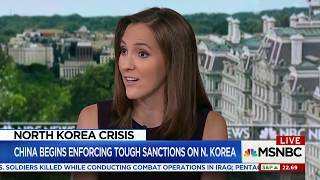 Deborah talks about controversial topics including: the readiness of today’s armed forces; sequestration; opening combat jobs to women in the military; making the acquisition process more efficient; and countering the threats posed by ISIS and Russia. Over the course of her 35-year career, Deborah has developed insights and lessons learned – from business and policy successes and failures. Among them: “Establish goals and priorities, but be prepared to zig zag. At least 50 percent of effective communications is listening.” And “You can and should compromise on most things, but never integrity.” Her problem solving approach – which she outlines with personal stories from business and government – includes: investigate, communicate, activate, and follow up. A key part of talent management in today’s business, academic and business environment is improving policies for diversity and inclusion. Why? All organizations are in a war for talent and need to recruit from the widest pool possible of qualified individuals to join their ranks. All organizations also seek innovation, which in large part stems from diversity of thought. Deborah outlines the business case for diversity and inclusion and offers examples and implementation advice from both her industry and government experience. Deborah can also offer personal experiences on how to achieve a successful work/life balance and how a woman can successfully navigate in a male dominated environment. 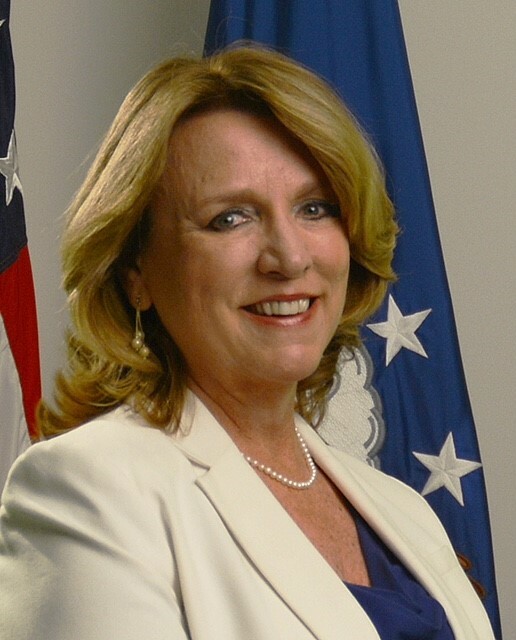 Deborah Lee James has a three-decade track record of leading, transforming, and driving lasting results in both the Legislative and Executive branches of the U.S. government (U.S. Air Force, Department of Defense) and private industry – Science Applications International Corporation (SAIC) and United Technologies Corporation. She has deep expertise in strategic planning, risk management, public policy, cyber security, logistics, and innovation. Deborah is an accomplished speaker on business and government topics including topical issues in national security and world affairs, politics in Washington, business transformation, leadership, and diversity and inclusion. Deborah currently serves on the Board of Directors of public, private and not-for-profit entities as well as an advisor and speaker on national security, business and leadership topics. She is the author of the leadership book Aim High: Chart Your Course and Find Success. Deborah brought 15 years of executive experience in private industry to her position as Secretary of the Air Force. 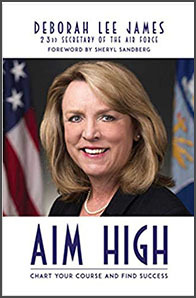 Over the course of an 11-year career at SAIC, a major defense firm, she served as Business Unit General Manager of the $500 million, 2,500 person C4IT business unit, and then served as Executive Vice President for Communications and Government Affairs, which included SAIC’s corporate responsibility programs. Most recently, as president of the $2 billion Technical and Engineering sector, she worked closely with SAIC's CEO and Board of Directors to co-lead the design effort that resulted in the successful split of SAIC into two distinct public companies (SAIC and Leidos). Through personal stories from her days as a Congressional staffer, a business leader at SAIC, and from the halls of the Pentagon, Deborah reveals her approach to leadership at the top, crisis communications, talent management and problem solving at the intersection of politics, policy and business. Based on her 35-year track record, she also offers commentary on topical business, national security and defense issues. "Deborah Lee James has been leaning in her whole life. She has been an inspiration to the Lean In community for a long time and I'm proud that she is part of Leanin.Org's Advisory Board. Deborah is a true trailblazer who has lifted up so many women, and I'm grateful for her voice." "Secretary James is a go-to speaker on national security. She brings a unique insider knowledge of Capitol Hill, the Pentagon, and defense industry, and her engaging style draws in audiences of all expertise levels. CSIS has featured Secretary James as the keynote speaker at conferences on nuclear issues and space issues and in its Smart Women, Smart Power series. Her personal story inspired our Smart Women, Smart Power audience comprising men and women seeking to make their own mark in the public policy and national security spheres."